For each concrete structure and component, PERI provides the most suitable formwork system. The portfolio fully meets the global requirements of different construction methods and boundary conditions. PERI scaffolding can be used for a wide range of applications. 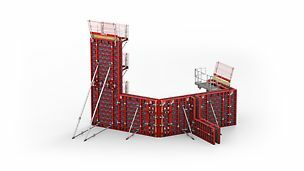 Regardless whether it is frame or modular scaffolding, the great flexibility leads to a high level of material utilisation. For PERI, engineering not only means product development and technical planning. In particular, PERI engineering stands for the detailed examination and optimisation of integral processes in the areas of formwork and scaffolding. 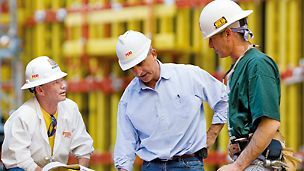 The issue of sustainability has a firm place in our business processes. Product development is already focused on the best utilisation of materials and thus the most economical use. Raw material selection and procurement is carried out in terms of ecological sustainability with timber, for example, coming mainly from certified growing regions. New technologies and efficient production processes ensure the best quality and long service life of PERI system equipment which, in turn, has a positive effect on the consumption of resources. 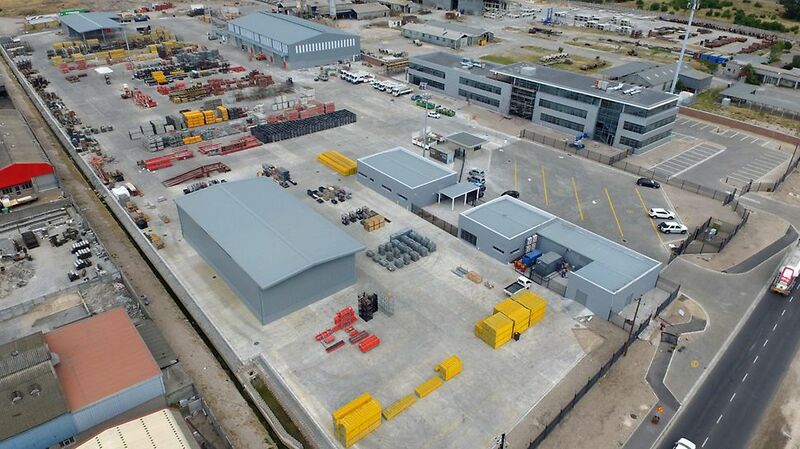 Delivery and construction site logistics are also optimised regarding shipping volumes and transportation routes. Strategically-positioned sites guarantee short delivery distances whereby transportation is also continuously optimised through an intelligent logistics network. The biomass power station at the Weissenhorn production site is a symbol for sustainable action at PERI. 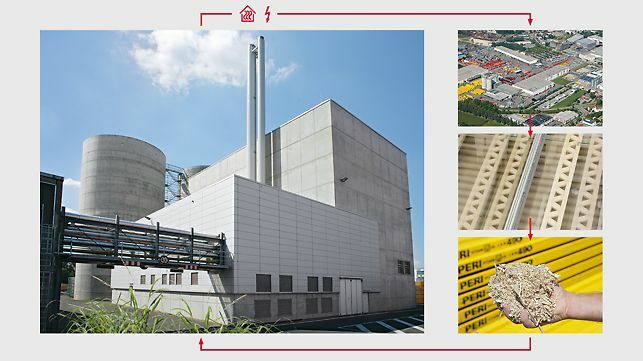 From wood shavings, a waste product from the girder production, power and heat are generated in the power plant which contributes a significant part of the used energy mix at the production facilities. 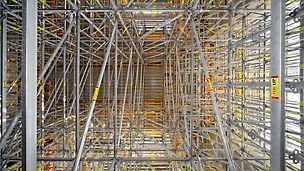 PERI Formwork Scaffolding Engineering Pty Ltd is a B-BBEE supplier. The verification of PERI's B-BBEE programme is an ongoing journey. Post-verification B-BBEE strategy and development will continue with focus on PERI's business needs and the ongoing achievement of clearly defined black empowerment and transformation objectives.